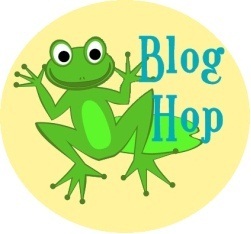 I nearly hopped off my lily pad when Brenda Knowles, creator of space2live, invited me to participate in a “blog hop writing tour”. Brenda writes with candor, a fierce vulnerability and a huge heart about introversion. When I read her posts, especially those focused on her experience of being an introvert in relationships, I often find myself nodding vigorously or wishing I had written them. Please click the link above to see for yourself. As I wrote here (Writing as Mystical Act), whatever I work on also works on me, so that I find myself in an unpredictable dance with my writing. Each post begets new ideas and areas of inquiry. Often the writing becomes a catalyst for change in my life. While the possibility of writing a book is often at the back of my mind, or circulating around my brain, I don’t have a particular project at the moment. And, if I did, I’d probably keep mum about it so as not to wreck or dilute the impetus for it. Recently I launched a Facebook page with the hopes of sharing my work with more people and inspiring more dialogue, more food for thought, and more writing. I’m not sure what my genre is, exactly. One reason I chose the name à la carte spirit is that I have a wide ranging curiosity and diverse life experiences and don’t wish to focus on or specialize in a single topic. Since I believe all is connected and related to everything else, and I write to explore those connections and find commonalities in seemingly disparate things, choosing one theme would feel like being locked in a silo. Having said that, to create a bit of a framework, I recently changed my tagline to Bringing awareness to the menu of life. It’s possible that a more specific genre will emerge over time as I continue to blend memoir and insights from my spiritual path in my writing. Mostly I write to allow my wiser self to have a voice. Often, it’s hard for me to remember either the big picture or the underlying kindness to life when I’m caught up in a momentary drama, doubt or pit of despair. Even those challenging moments are part of the adventure of living and have something to teach or reveal if experienced through a lens that is large and compassionate enough. Also, I write to remind myself, again and again, that what is important in life is the process, not the content. How I do things matters more than what I choose to do. In a world mesmerized if not hypnotized by the visible, by externals, by the “whats” of career, brands, etc., I often lose sight of the way in which I’m living. Writing helps me return to the here and now, where life actually happens, and to dance more easily with what is arising. Writing is a strange beast, a cross between a tango partner and an elusive oracle. Sometimes I scribble ideas on index cards and Post-It notes when my neurons fire an unexpected insight, hoping I’ll remember why I thought it was important when I next sit down to write. Other times a blog post will magically form in my head and delight me with various turns of phrase yet, when I sit down to compose, it vanishes altogether or morphs into another idea. Often I’m surprised by what comes out or how the post ends, as if the writing is leading and I’m following. To write is to both shape experience and be shaped by it. How that “works” is a mystery, not something I care to dissect. What I can say for sure is that if I don’t write regularly, I’m visited by crankiness or worse. Writing must be a kind of mystical medicine, healing that which can’t be reached by other means. Now it is my great pleasure to introduce the next writer, who will post her responses to these questions on April 28. Cara Lopez Lee is the author of the memoir They Only Eat Their Husbands (Ghost Road Press, 2010). Please visit Cara’s blog, dedicated to inspiring people to approach writing, travel, and life as an adventure. Her stories have appeared in Connotation Press, Wazee Journal, The Los Angeles Times, Denver Post, and Santa Fe New Mexican. 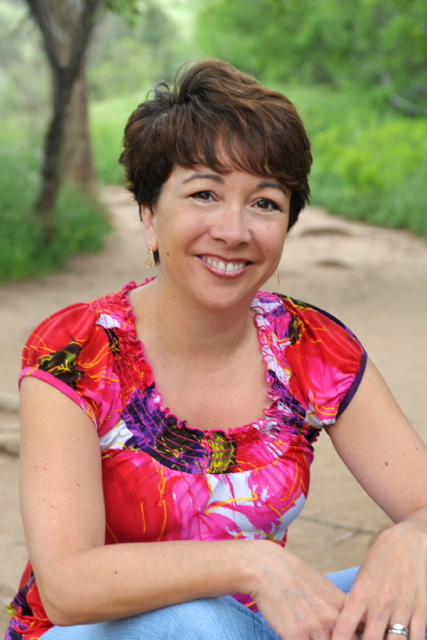 She’s an editor and writing coach, and teaches youth for Lighthouse Writers Workshop. Cara and her husband live in Denver. It’s fun to read how and why another writer writes and discover where our ideas diverge and converge. I admire that you would hold a project close to the chest and maintain mystery. I find it difficult to resist the urge to blab what I’m up to. However, like you I find that my writing often writes me, that what I started with is often not what I end up with. This resonated with me: “How I do things matters more than what I choose to do.” Thank you for the gracious introduction, Ilona. I admire you, and your words honor me. Cara, your comment about blabbing made me laugh! I think we discussed talkativeness vs. keeping mum when we last got together. Anyway, I look forward to reading your answers next week! “To write is to both shape experience and be shaped by it. How that “works” is a mystery, not something I care to dissect.” Exactly! I feel the same way. Writing is a magical mystery that teaches me about myself every week. :) You are a keen observer of life Ilona. What a beautiful thing! I look forward to learning through your words and perspective. Thank you for the lovely words about space2live.